With so many social media platforms out there and so many new and exciting ways to connect with customers it’s hard to know when your business is using social media the right way. Whether you’re just testing the waters of social or you’ve had a presence online for years there’s nothing worse than spinning your wheels only to find you’ve gotten nowhere. So, how can you tell if you’re using social media effectively and efficiently? One of the biggest mistakes businesses make is to spread themselves too thin when it comes to social media. Unfortunately, unless you’ve got a team of dedicated marketing personnel (which few companies do) you’ll end up with a lot of profiles on a lot of sites, most of which are just gathering cobwebs. The key to social is being active and engaging constantly with your audience so it’s smart to pick, say, two or three sites to really delve into while you build an audience. For most businesses, Facebook, Twitter, and a photo-sharing site like Instagram are plenty to get started with. Next you have to figure out how to measure whether or not you’re using your time on social efficiently. Not only should you have some analytics set up on your main website to measure where your traffic is coming from, you should also keep track of your social metrics. Facebook “likes” and wall posts are a great marker as are Re-Tweets and even LinkedIn endorsements. Every site has its own system but what really matters is knowing what the data is telling you so you can adjust your strategy if needed. Businesses often make the mistake of assuming social is a lead-generation tool alone. Not true! You can’t just sit back and wait for customers to come to you on social – you have to constantly give people reasons to listen to what you have to say. That means blog posts, interacting with other businesses’ social pages, videos, and even related news articles coming from your social page. Think of your social presences as a way to tell your customers what your business is all about rather than a place they can find you. 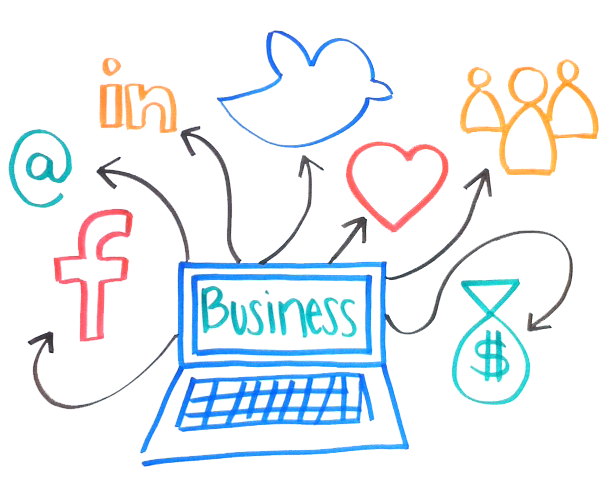 Social media is a fantastic way to supplement your already-thoughtful marketing plan. It’s important not to forget traditional marketing just because your business is trending digital and social media can be a great tool for enhancing a marketing campaign. Consider, for example, having promotional bags printed up with your Twitter handle emblazoned on the side, or even a local commercial spot that invites customers to enter a contest on your Facebook page. Social is meant to be interactive and engaging and traditional marketing is a great way to lead people where you want them so you can deliver your message. Overall, it’s crucial to keep tabs on your business’ social media efforts every single day. It may seem like overkill but in the online world things can change in an instant so you can never be too on top of your media campaigns. Every business is different in the ways they’ll use and succeed at social but one thing always holds certain: the most effective social media campaigns always start with a plan. Bonnie Weaver can be found hiking a mountain, getting lost in the woods, kayaking the Missouri, or organizing a event when she’s not creating website solutions.